Would You Barbecue This Belgian Ranch? Nearly every Belgian Blue calf is born by C-section because they are too large for natural birth and often times will kill the mother during labor. 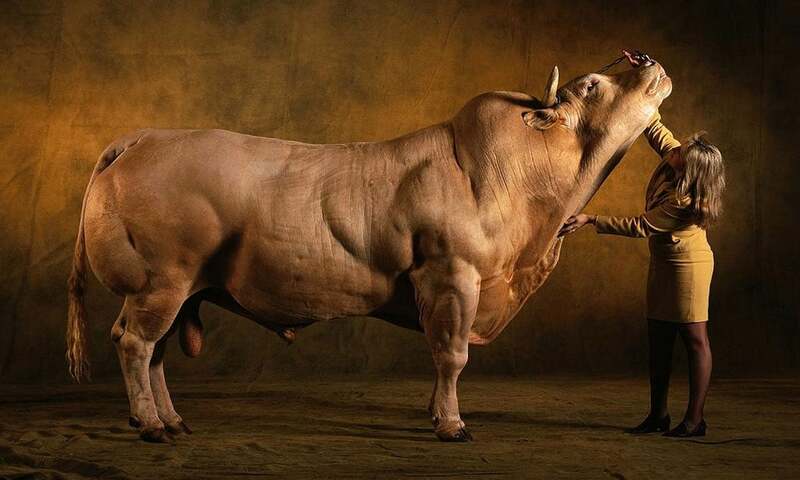 The double muscled cattle literally have twice the muscle. When it is developing its genetics created two strands of each muscle cell instead of one. 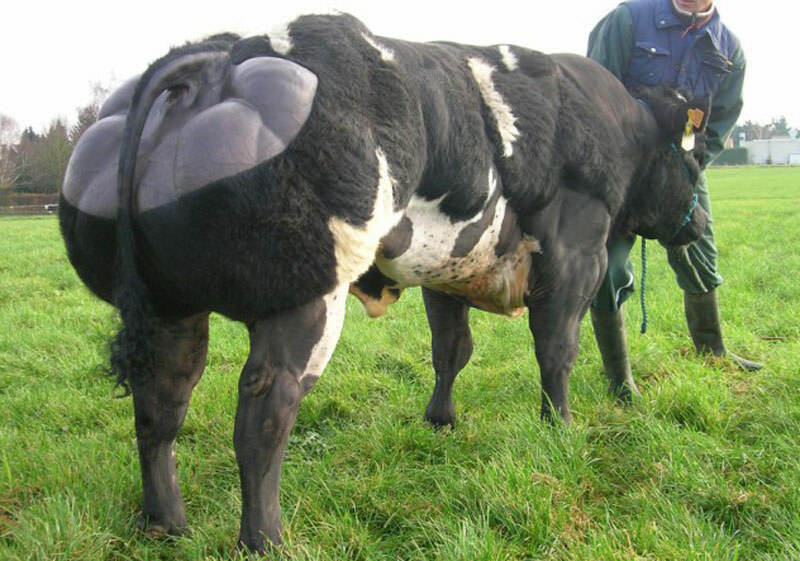 Belgian Blue steaks are rarely seen on the shelves, though, because of cost of production and low demand. 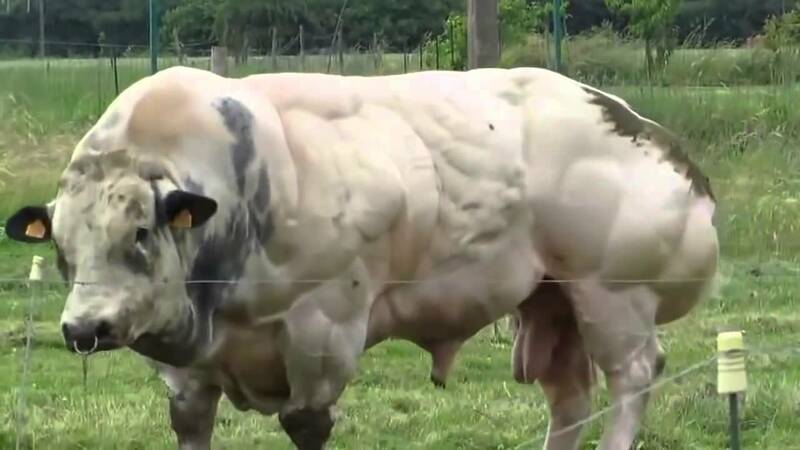 The animal has a special heritable trait that causes a phenomenon called “double muscling” in cattle. In humans it’s called hyperplasia. 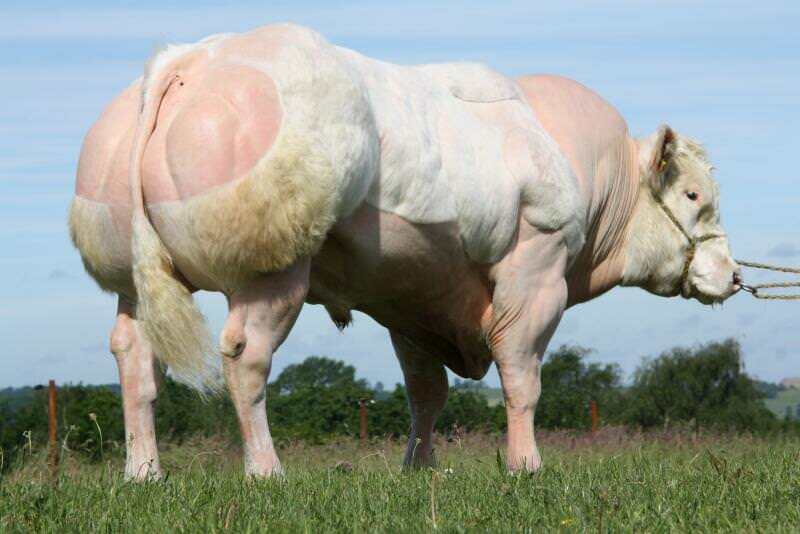 The Belgian Blue is a special breed of cattle that has been genetically engineered for years.